Because it’s Friday, and I love you guys, I’m sharing a simple but lip smacking good cocktail with you. And let me tell you a secret: it only has two ingredients. I know. It’s so wrong, it’s right. I debated about sharing with this you today, or waiting until next week, but decided that your weekend would be so improved by the addition of this fuss free cocktail. It’s the perfect drink for anyone who doesn’t want to keep a fully stocked bar, but loves themselves a seasonal drink. SO, you might be wondering what exactly these two ingredients are so here is the big old secret: apple cider and caramel vodka. BOOM. Amazing. I have to admit that I just recently found out there was even such a thing as caramel vodka. Did you know this was a thing? I totally didn’t. I’m sure you probably already knew this because I’m sure you don’t live under a rock like I do. So, if you say ‘yeah, Em, I’ve been pouring caramel vodka in my cider for ages, big deal’ I won’t be offended. Or shocked. Truly. It’s just that this whole ‘caramel vodka’ thing is new to me it’s my new favorite. I got the idea for this drink from my sister after she was telling me about a cider and caramel vodka drink that she saw that was served warm (which sounds amazing, btw) but I figured it would probably be just as good cold. Especially since Ohio has been confusing October with July, apparently, and keeps serving us up 80 degree days. I’m over it, Ohio. Over. It. Now, while I had no clue that caramel vodka existed, I have dabbled a bit into flavored vodkas with marshmallow and vanilla, both of which were fabulous. 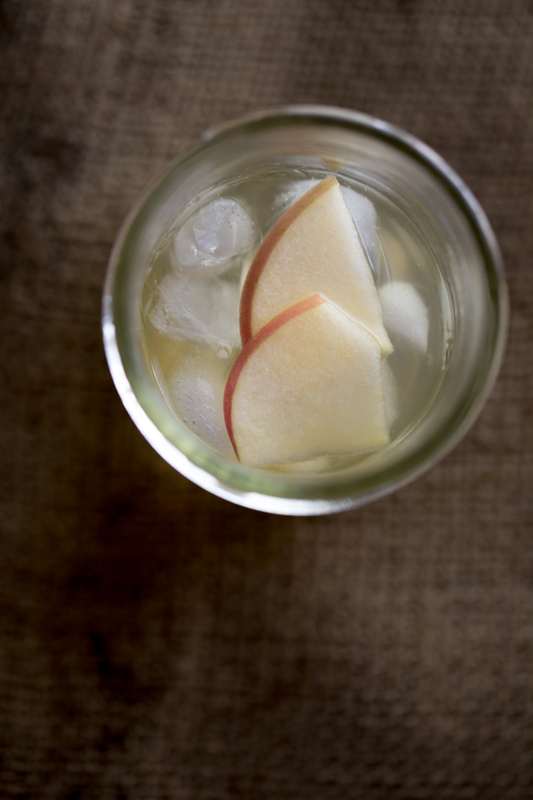 Anyway, this cold spiked caramel apple cider is the perfect cocktail for this ‘in limbo’ weather – when it can’t decide if it want’s to be hot, cold, humid or dry. 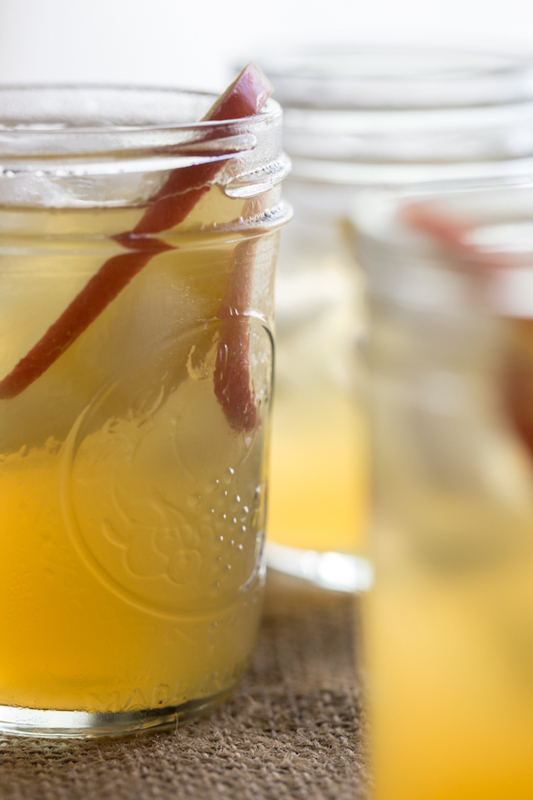 You can bet your buttons that I’ll be heating up this same exact drink, infused with cinnamon sticks most likely, at the first sure sign that Autumn has taken hold. Is betting buttons a thing? If it is, I would bet my buttons that you’re gonna love this. 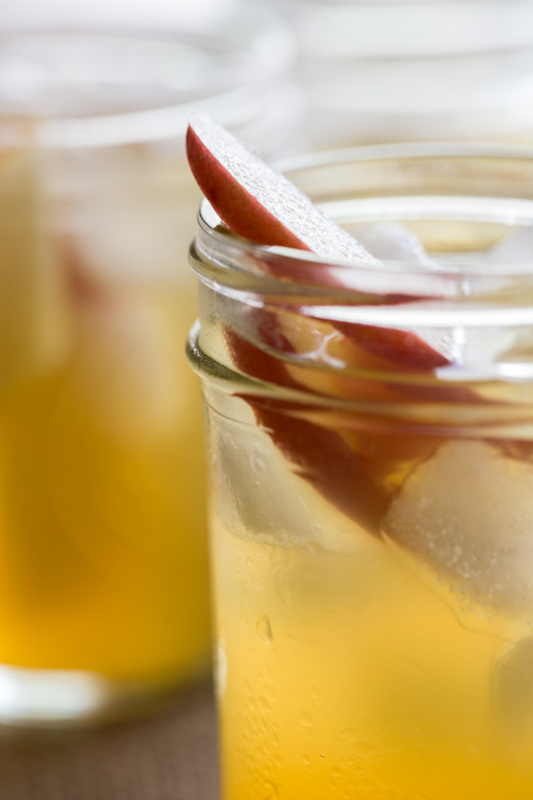 And for now, I’ll keep it cold and served in my favorite little mason jars. I’m casual like that. I hope this makes your weekend extra tasty! Fill a glass with ice. 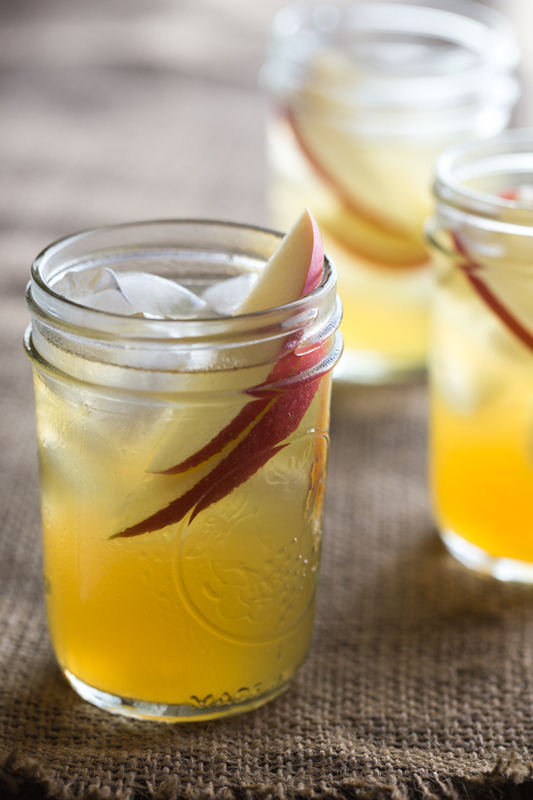 Pour in vodka and apple cider, stir and serve! I used Smirnoff's Caramel Kissed Vodka, but I've heard there is another brand that makes a salted caramel vodka that sounds incredible, too!